With the effort I’ve put into sharing Collect All 21 over the past year, I have really slacked off on similarly promoting Crossing Decembers. Driving back home from a weekend in the northwest corner of Ohio – the place which largely inspired the book – I decided it was time to rectify that. And while I have gotten a lot of support for and genuinely heart-warming reaction to the book – here I’ll interject Specatular SuperColossal Thanks to everyone who has ever reviewed or shared Crossing Decembers: Every one of your encouraging words still means the world to me – I still wish more people were reading it. So I’ve decided to post the entire thing here on Cornfield Meet, chapter by chapter, in weekly installments. Yes – the whole book – right here in simple click-scroll-and-read form, for NuthinAtAll. While I am absolutely a die-hard fan of Writers Being Paid For Their Work (Is there a Facebook group for that? There should be. ), I have a fierce love for this particular story and the writing within, despite the fact that I have often struggled with characterizing and explaining the book itself. It’s a wholly different read than Collect All 21, although I suppose it could be argued that my Star Wars writing is just a non-fiction extension of my fascination with memory and shifting perspectives of reality. 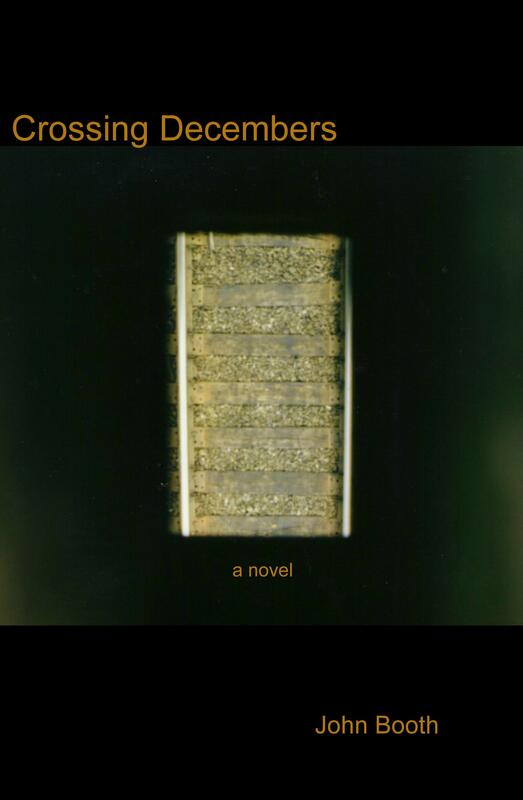 I’ve also built Crossing Decembers its own page at FieldsEdge.com and, as I did with my Star Wars book, added a direct-purchase option for the electronic PDF edition which includes the cover images. 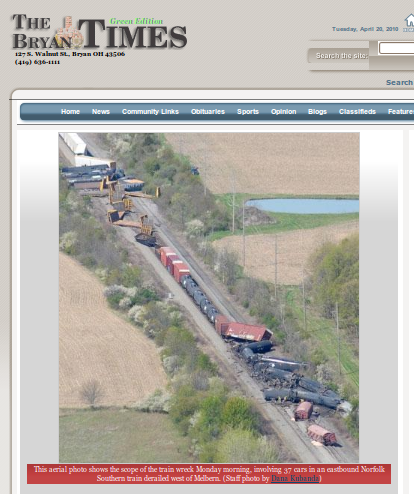 Watch for the first chapter tomorrow and the others to follow over the next eleven Wednesdays. This book is a work of fiction. People, places and events within are either products of the author’s imagination or used fictitiously. Special thanks: The author hopes Jennifer and Kelsey Booth, Jennifer Humphrey, Adam Besenyodi, Ivan Knapp, Katrina Vandenberg, Pam Booth Caldwell, Nick Booth, Adam Booth, Joan Schoenberger, Aaron Archer, Sarah Steinhoff, Jim Carchidi and Jennifer Greenhill-Taylor know that he loves them and can never thank them enough. Musical acknowledgments: The soundtrack to the writing of this book includes works by: REM, Alphaville, Orchestral Manoeuvres in the Dark, Gone Daddy Finch, The Hooters, They Might Be Giants, Blake Babies, Mannheim Steamroller and New Order. Some of those artists’ songs are mentioned within this novel. “Sweetness Follows” and “Nightswimming” by Bill Berry, Peter Buck, Mike Mills and Michael Stipe, are from REM’s 1992 album Automatic for the People. Credit the same four guys for penning “It’s the End of the World as We Know It (and I Feel Fine),” first recorded for the band’s 1987 album Document. They Might Be Giants (John Flansburgh and John Linnell) wrote “Birdhouse in Your Soul” and “Lucky Ball and Chain,” both of which are from 1990’s Flood. Orchestral Manoeuvres in the Dark founding members Paul Humphreys and Andy McCluskey composed one of the 1980s definitive songs, “If You Leave,” for the soundtrack to the movie “Pretty in Pink,” released in 1986. A few years later, they teamed up on the single “Dreaming,” released in 1991. Chip Davis is the genius behind Mannheim Steamroller’s Fresh Aire 7, and wrote the songs and the liner notes for that 1990 album. “The Second Shepherd’s Play” was written by the anonymous 15th century Wakefield Master. Finally, thanks to Mike Batt, a prolific and talented musician I never knew by name, but whose short, wonderful theme song to the early 1970’s cartoon “Simon in the Land of Chalk Drawings” (FilmFair London Productions) is probably the longest-running tune in my head, still intact after more than three decades. Holy moly I loved Simon in the Land of Chalk Drawings!! The song is still wholly complete in my head, too.